Do you know someone with optical dispensing experience who would like the challenge and reward of joining an online retail start-up? We’re looking to hire a qualified optical dispenser and customer support expert for Sneaking Duck. Their responsibilities will range from addressing customer questions to quality control to technical optical work. We need someone who is super-excited to experience an online start up where challenging norms is the norm. If this is you, please get in touch at framed@sneakingduck.com. If you know anyone who might be interested, please forward this link on. Sneaking Duck is a new online optical dispenser and a new brand in eyewear. We’re an internet start-up looking to grow fast and have fun doing it. 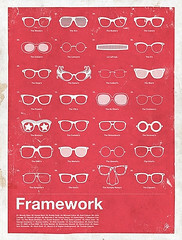 We love cool glasses and we love having a pair for every mood. We’re tired of one mega-expensive pair bought only because the last pair died. We are about to launch a website where customers can browse and chose frames, upload a prescription and have their frames land on the doorstep a few days later. We’re looking for a qualified optical dispenser who loves people and who wants to live the start up journey with us. Our centrally located office is action driven, but casual and fun. Responding promptly to customer emails, calls and instant-messages in a super-friendly, enthusiastic, warm and knowledgeable manner. Going the extra mile on this aspect is the top priority.